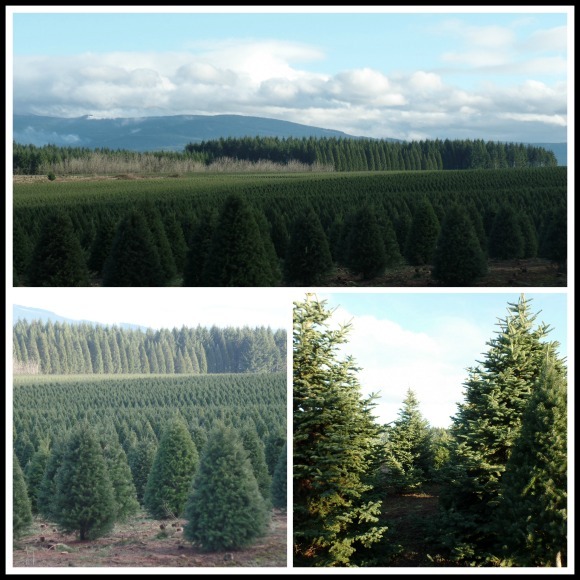 We live in the heart of Christmas tree production here in Clackamas County, Oregon. 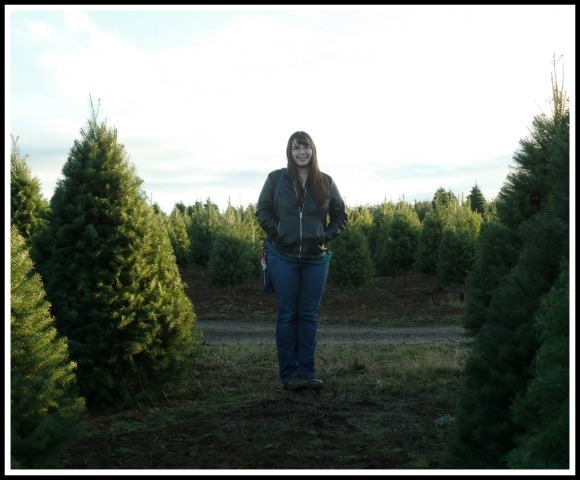 Our county grows more trees than any other county in Oregon, and Oregon grows the most trees in the US. 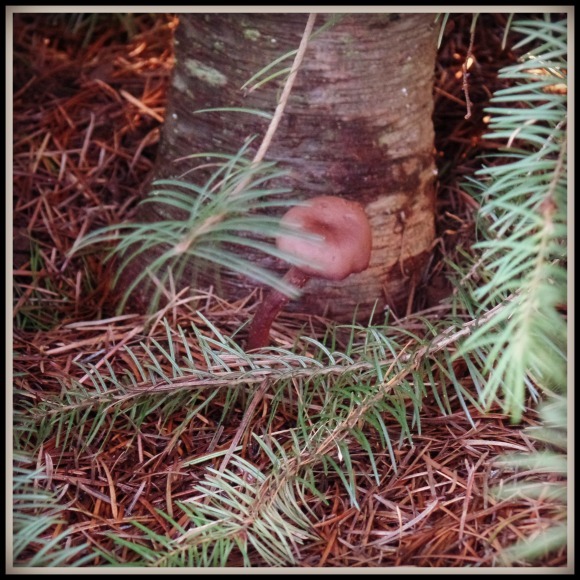 So you can imagine that we are literally surrounded by beautiful tree farms all around our small town. I love it, the air smells of Christmas trees all through the surrounding rural area throughout Christmas tree cutting season. 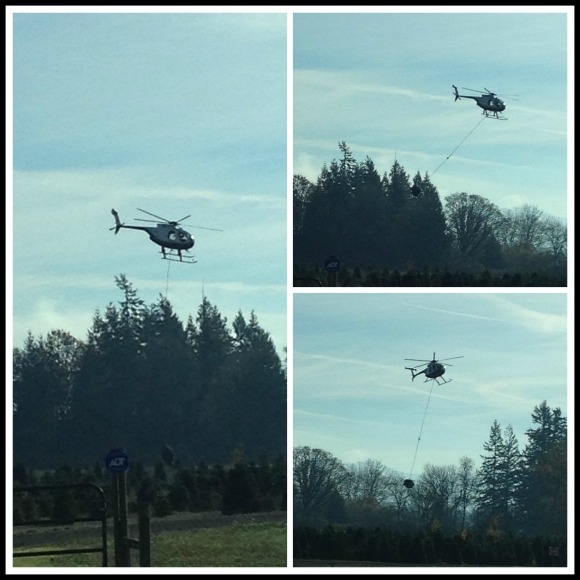 You can see helicopters lifting loads of Christmas trees from the fields to the shipping locations starting in November. Here is a helicopter hard at work that we spotted on the way to church in mid November. 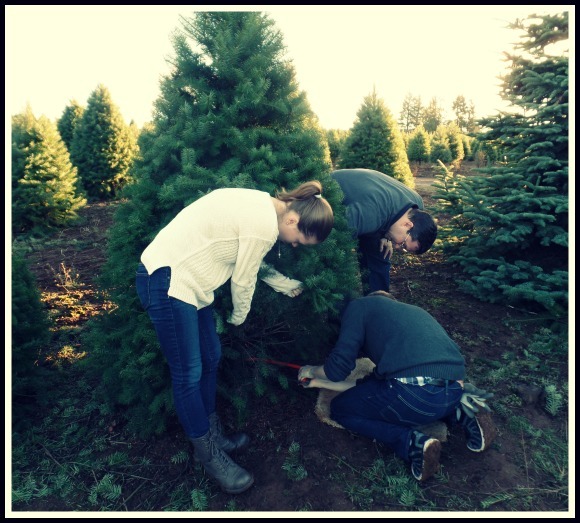 The past few years we have been busy with school events and purchased our tree from local farmers that sell right here in town, but this year we decided that it had been quite some time since we had cut down our own, so we took a short drive outside of town and found the perfect tree farm. The drive there was beautiful, acres and acres of tree farms that all looked so beautiful all along the way. 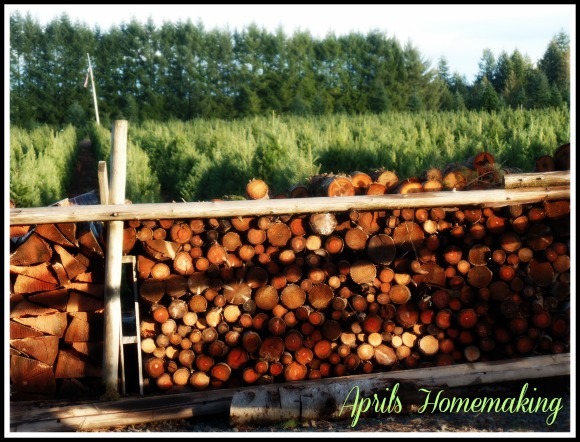 The farmers at the tree farm we chose were very friendly, I spotted stacks of fire wood at the entrance to the farm, something about stacks of firewood always intrigue me, I had to stop for a few pictures. My son Joe decided that he would do the bulk of the tree cutting this year and got right to work with a hand saw. After a bit of work he finally got our tree cut down. The farmer was so kind and brought a truck out to the field to drive it down to be bundled for us, we got the tree shaken out and all wrapped up and made our way home. 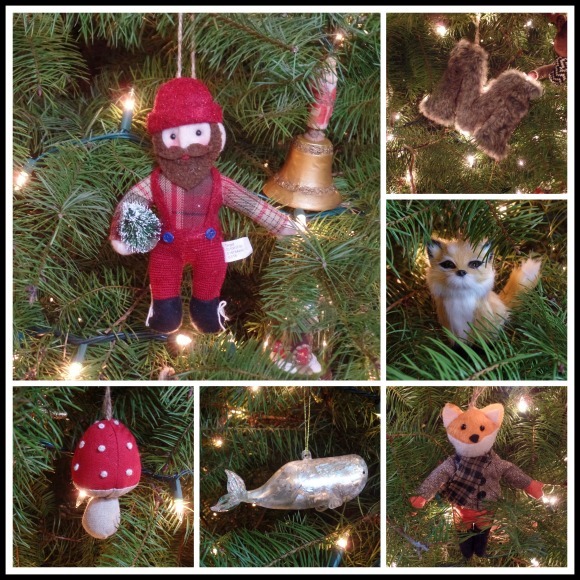 This year we decided to put the tree in our living room, so we got it all set up and ready to decorate. It took us a few days to finish decorating because everyone was busy with various end of school term finals and choir practice. 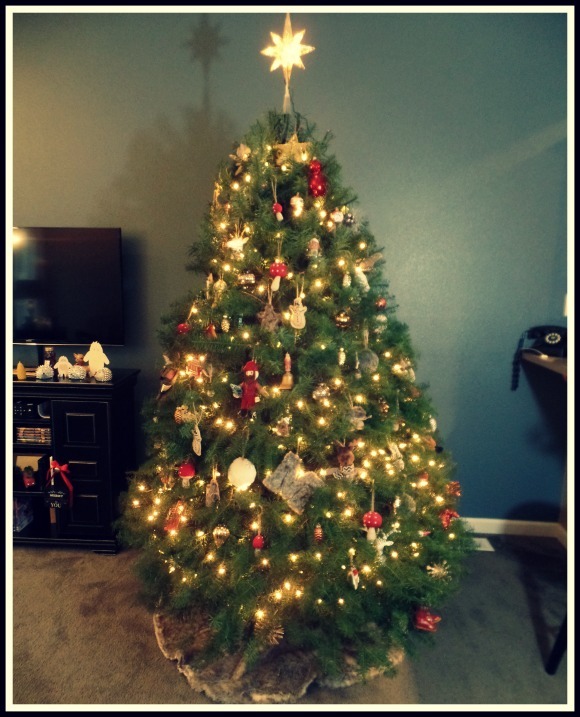 But finally we got it all decorated and it turned out really pretty. 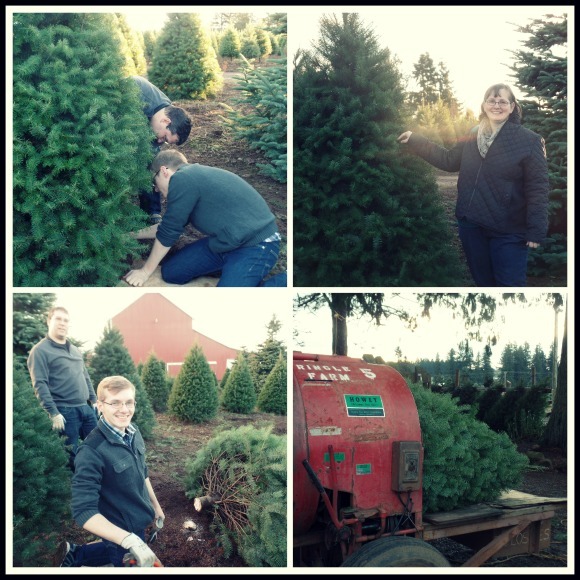 I made a fun video of our trip out to the tree farm as well as a closer look at our decorated tree. This weekend I will be spending my time doing lots of baking and wrapping gifts. This December has flown by and Christmas is right around the corner. I am really looking forward to seeing all of my family on Christmas weekend. I hope everyone is having a nice Christmas season! April, that is a beautiful tree! How do they get them so perfectly conical? 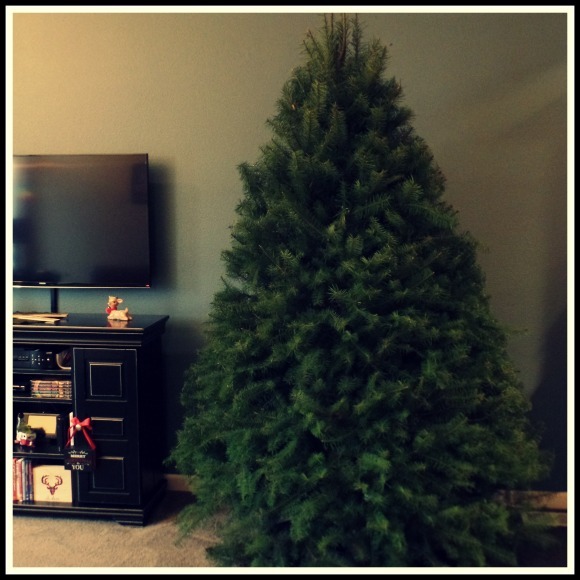 It brings back memories of living in Ferndale CA and after arriving in the village to live there on Dec 12 the first thing we did was go out and cut our tree! Priorities! How lovely! April, I really enjoy reading and watching all the fun activities your family comes up with. You really find some interesting treasures. Around here, we just go out on a friends property to cut down a tree. They rarely are symmetrical. Guess that's why someone invented tinsel! Have a merry Christmas!